“The country is going through a time in history whereby the concept of “criticism” has lost its substance. Any opinion opposing the views and positions of the politically powerful and not praising them are perceived as an “insult” or “defamation”. Any political dissent is subjected to intimidation. Triggered by this attitude, negative effects on political and social polarization has reached all segments of the society as well as the social life including publishing,” states a new report published this week by the Turkish Publishers Association (TYB). Although focusing mainly on freedom to publish for book writers and authors, the report also shows significant interest for the state of press freedom and the hostile working environment for journalists and media workers covering the news in Turkey. “There were substantial increase in censorship attempts and subsequent investigations and legal proceedings during periods when significant issues led the country’s political agenda. Media blackouts have become routine. Reporting and commenting on almost all important breaking news were immediately banned and it has become nearly impossible to be informed through the mainstream media,” according to the TYB. 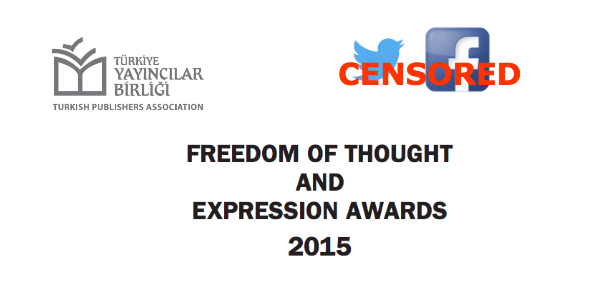 “In 2014, Turkey maintained its standing in the world’s top 3 most prohibitive countries in social media censorship. Changes to the Internet laws have simplified the banning or removal process on social media accounts and sharing. As a result the number of banning cases has reached record numbers following political events of a critical nature”, continues the report. An agreement between Turkish officials and Twitter has been reached in 2014 to remove content and blocked accounts. According to Twitter’s Transparency Report, the country with the most removal requests worldwide was Turkey. 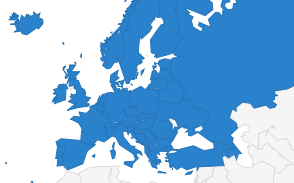 Between July and December 2014 Turkey accounted for 1820 of the total 1982 content removal requests. The number of Twitter accounts blocked access from Turkey was 62. Facebook continued accommodating censorship requests from Turkey in 2014. According to Facebook Transparency Report, Turkey was second in the world for removing content in 2014. 5517 Facebook pages were blocked or access to them restricted. TYB’s new report also highlight the permanent prosecutions of cartoonists in Turkey even after the Charlie Hebdo massacre in Paris on 07/01/2015. One prominent case related to the daily newspaper Cumhuriyet where the “editorial board and columnists decided to publish a selection of cartoons from the magazine including the depiction of Prophet Muhammed on the cover. This was a symbolic act in defense of freedom of expression and a display of solidarity with the magazine. This led the newspaper to faced once again with threats and pressure. The police raided the print shop after midnight without a judge’s order and searched delivery trucks. Subsequently the building was blockaded. Distribution of the newspaper was prevented by a police raid to the printing house. Subsequently the building was blockaded. The newspaper received threats. Columnists Ceyda Karan and Hikmet Çetinkaya were put to trial for publishing the Prophet cover of Charlie Hebdo on their columns. 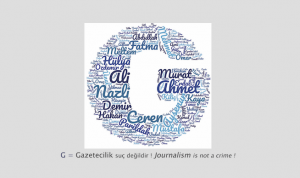 Currently the newspaper’s writers, columnists and journalists are facing 16 criminal investigations, they are charged in 41 criminal cases and 33 monetary compensation lawsuits mostly by politicians are pending.” Four other cases concerning lawsuits and prosecutions of cartoonists are detailed in the report. 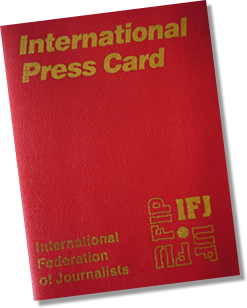 The European Federation of Journalists (EFJ) welcomed in Brussels in December 2014 a delegation composed from the Turkish Publishers Association, the Swedish Publishers’ Association, the International Publishers Association and EMHRN to raise awareness on the issue and share the restrictions and bans in European countries.